Sydney Shop Girl: The Fashion Pedigree of Polo Shirts. There haven't been many moments that I've been fashion forward in my life. However, this week - Glynis Traill-Nash and I are clearly seeing Eye To Eye in the Wardrobe 101 stakes. 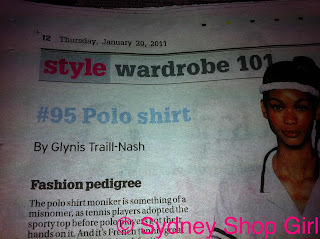 I was reading this week's Style supplement in the SMH and found that polo shirts are a Wardrobe 101 endorsed staple item of clothing. 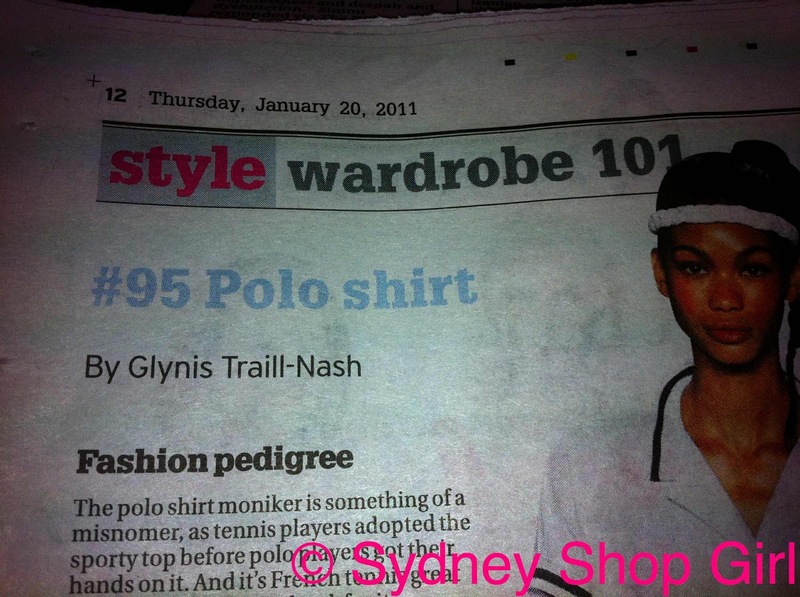 The polo's appearance in the paper probably has more to do with all the tennis going on in Australia at the moment than anything else but still, even for a moment, I was fashion forward. Here I am having a Wardrobe 101 Moment. Minus the edgy catwalk hair, makeup, accesorizing and photography. Though that background of a wall of sunglasses does up the fashion ante a bit. I was trying to keep myself out of trouble whilst H was buying a new pair of sunnies. I'm wearing my pink polo that Mr SSG found a few weeks ago after he turned my other pink polo a khaki beige in the wash. 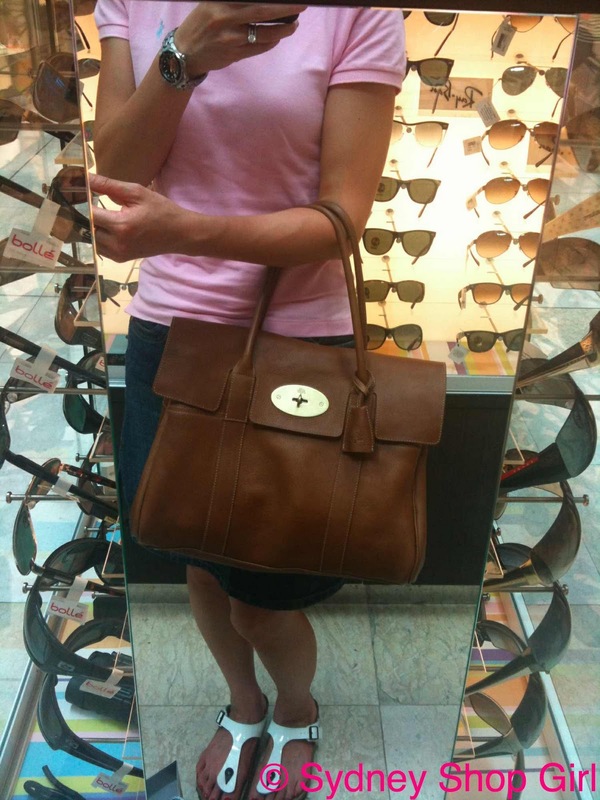 Unfortunately, I didn't quite accessorize it the way Glynis suggested in her article but I still felt preppy at Chatswood Chase. Glynis was exploring head bands and improbable skirts in her vision but for a day of errand running, you really can't go past a denim skirt and a Bayswater. There's something about the collar on a polo shirt that makes me feel like I mean business. In a leafy suburbs, perfumed steam roller and pearl studs kind of way. Elsewhere in this week's fashion agenda, it looks like April is going to be a big month. 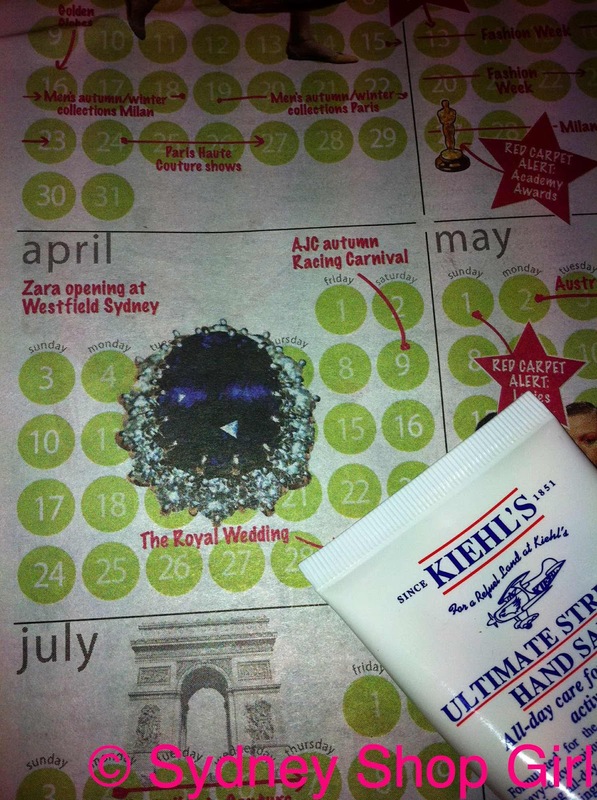 Zara is to open in Sydney and William and Kate are getting married. Is it too early to be planning what to wear for William and Kate, I wonder? Would sapphire jewelry be less tragic than having morning tea served on William and Kate china? I think we need to discuss this in a calm and reasoned manner, readers. And isn't Easter in there somewhere too? It's going to be a big month. (Canberra) City Girl was expressing concern about my not having visited or blogged about the highlights at Coles recently. (C)CG, to allay your fears, I paid Coles a visit this afternoon. I think it has been suffering in my absence. They had run out of Coles' own brand of potting mix (it is the cheapest at $4 for a 30 litre bag and does a great job). 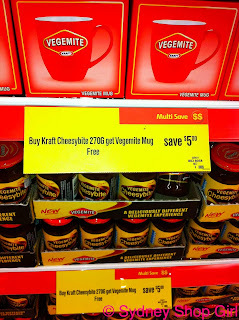 Then, to top it all off, the free Vegemite mug was only available only with ... Cheeseybite. The mug says Vegemite and it's nearly Australia Day. I was this close to buying a jar of Vegemite to replace the Marmite but I think I'm going to hold out now. 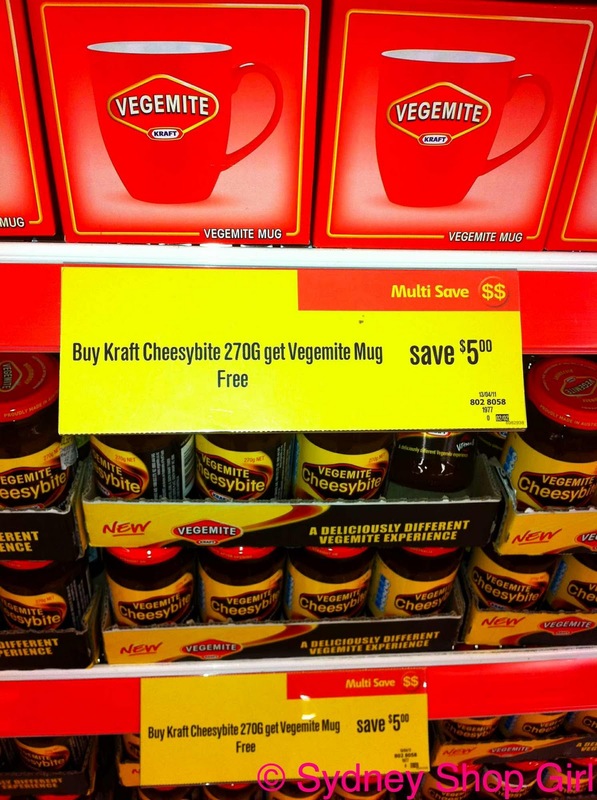 Until Vegemite gets included in the free mug offer. Oh, I couldn't resist. This is my new delete key. It made an excellent recovery after some minor Tweezerman surgery last night. It didn't go all loopy with the anaesthetic by singing UB40 songs or dancing on a table top. Forgive me, I think that was me projecting. I'm going to be enjoying my fully functioning keyboard this weekend. As well as a bit of pot plant repotting. I think the work office needs some soothing greenery. And I'm going to catch up with Nigella. 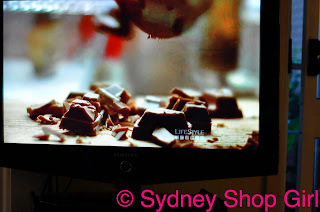 I'm up the episode of Kitchen where Nigella mezzalunas supermarket milk chocolate for her brownies. Nigella always makes me smile. A perfect way to spend Friday evening. I saw that polo tee article too, I don't have any polos but I'm thinking I could eeeeasily invest in one now. How great is it that Zara is opening!?!!!!!! I wonder when the one in Melbourne will open - GAH! I hope it's better than when they decided to bring 'Mango' here, what an epic fail. Watching Nigella made me run out and buy a mezzaluna. Which I am ashamed to say I never use! You make me smile!! 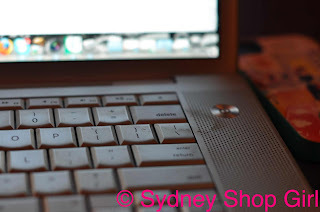 Even your background is making me think I should stock up on some pretty ribbon! Semi Expat: hope you're having a great weekend away. AFW: I don't have a mezzaluna, I have a Froggyluna. He has a double row of knife edge and a green handle. Hard to wash but very useful. Katie: thank you, have a great weekend. NQN: men have this knack of being au courant without really trying. I suspect it is because many of them will not be parted with their clothes until they have physically worn out and hence have clothes that 'come back' into fashion. Karena: thank you for dropping by. I will have a look! SSG I notice your birkenstocks in the second pic which reminds me to yell out I love them too. Very exciting about Zara heading to Sydney and I hope the plan is to open a store north of the border. Pleased to see your laptop is once again fully dressed.